I’m a little late on this because of portfolio review, but I heard about BBDO’s tree house campaign when their CEO, Andrew Robertson spoke at a Brandcenter forum last month. 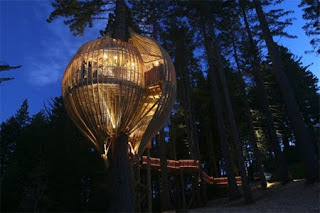 For their campaign COLENSO BBDO created a treehouse restaurant for their client, Yellow Pages. They built the treehouse using only sources found in that phone book. It turned out the restaurant made a profit there. Thought it was interesting.